Attending worship is the best way of getting to know us! All are welcome to attend any of our worship services. Every week we hold two services on Sunday mornings and one on Wednesday evening. Communion is served weekly, except for the first week of the month when we remember our baptisms. Celebrating three baptisms on Baptismal Sunday. 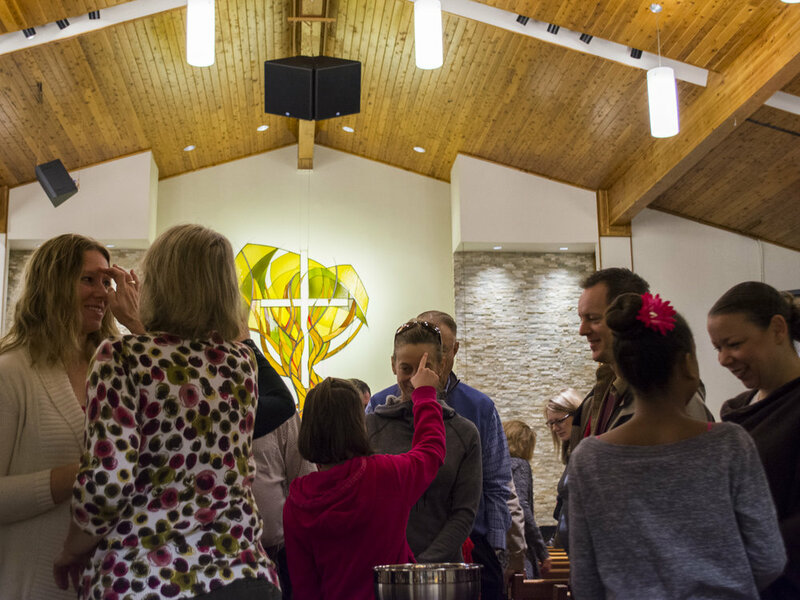 Each worship service has its own personality, yet all are authentic to Mount Olivet - God's wide love is proclaimed and all are welcomed. 9 am Sunday service includes traditional Lutheran liturgy and is accompanied by organ, piano, and our Chancel Choir. A large mix of demographics attend who prefer a traditional worship style. 10:45 am Sunday service is a more contemporary worship experience led by a full band, and conversational preaching style. During the school year our Bible Explorers children join their families for offering, sacrament, and prayers. In Holy Communion we meet God in the simple gifts of bread and wine, experience unity with each other, and are renewed to serve in the world. Everyone is welcomed at God’s table. You may also choose gluten-free, grape juice, or a blessing. At the end of every service we close with 'Prayers of the People' where all are invited to share individual prayers for community and a world in need. On the first week of the month we celebrate new baptisms as well as remember our own baptisms*. 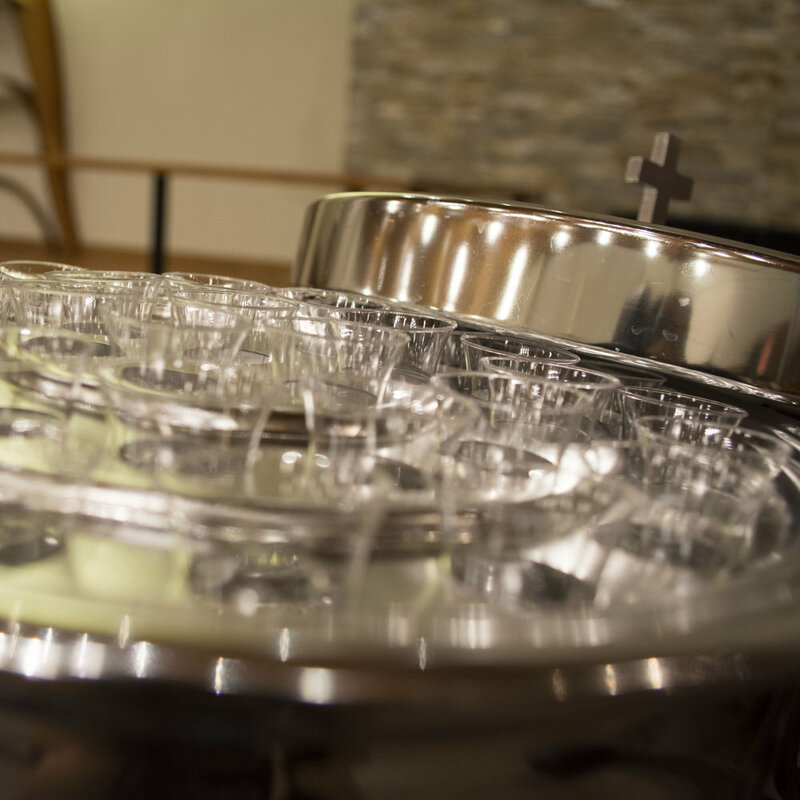 You are invited to a baptismal font to both receive a blessing and also bless the person behind you, reminding one another, "You belong to Jesus." Healing services are held quarterly during worship. You will be invited forward to receive a blessing in healing oil.